In a superb autopsy of Kaos Studios, closed three months after it finished Homefront for THQ, Gamasutra's Leigh Alexander paints a vivid picture of a studio doomed by meddling, duplicitous executives, and filled with underqualified managers, overworked developers and even an overflowing urinal. There's a lot of anonymous sourcing, which means there's a lot of mud flung by pissed-off people who lost their jobs. And a huge wad of it lands on the guy whose name helped sell the game's concept to the public from the day it was announced. That would be John Milius, the screenwriter known for, among other things, 1984's Red Dawn. Milius was invoked the day THQ announced the game in 2009, as Red Dawn's story closely mirrors that of Homefront's. However, "Although ... Milius is credited with writing the script, multiple staffers tell Gamasutra he ultimately wrote not a word of it, despite the game containing at least 20,000 lines of dialog," Alexander reports. "Most former employees credit Kaos writer C.J. Kershner with Homefront's script." Kershner, in the game's credits, is credited with "associate designer, writing, QA." [Update] Back in 2009, THQ clarified to Eurogamer that Milius' role was more as a story consultant than a screenplay writer. Eurogamer quoted a THQ representative as saying he was "definitely involved in the dialogue," however. Still, ""He's not writing the story per se but he's heavily involved in structuring it and increasing the quality of it really," said Kaos' Erin Daly at the time. 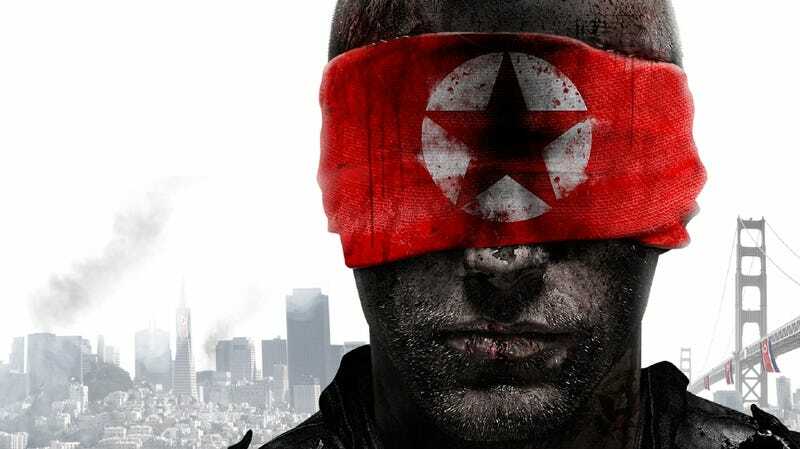 Danny Bilson, the THQ's former executive in charge of core games, is portrayed as having more of an influence over Homefront's story—good and bad. Bilson, himself a Hollywood screenwriter who was run out of his THQ job in late May, "came up with much of the high-level story ideas for the game," Alexander reports. However, he also insisted on the scenario involving North Korea as the invading force—a situation some critics laughed at as wildly unrealistic—because original concepts depicting China as the aggressor were seen as harmful to THQ's business ambitions in that country. That only scratches the surface of this tale of ambitious failure, unreasonable expectations, undue credit and stinging recriminations. My favorite detail was the "Urinal Bucket," which came to symbolize the mordant humor with which Kaos staffers viewed their plight, many convinced their shop would be closed even before Homefront released.